As the group reached the entrance to the fire capital they were stopped by a group of samurai. what business do you have in the capital?" the leader asked. "I am Hyūga Neji and we are here for the tournament." Neji said showing a scroll with the Daimyo&apos;s emblem. The leader looked at it before nodding. "Your good head to the palace. From there you will be lead to the event," the leader said. They left heading towards the palace. When they arrived they were brought into a room with all the Daimyos. Gennin teams from: Iwa, Kiri, Suna, Kumo, Oto, Ame, Getsu, Hoshi, Ishi, Kusa, Shimo, Taki, Tani, Tsuki and Yuki. "As of now the tournament has begun!" the Fire Daimyo said. "You will be lead to one of the eight arenas where you and your team will fight the genin of another country. If a member is taken out during a match they will not be in the next, this is the list for the first set of matches." he said. A screen appeared behind him. Eight of the daimyo&apos;s guards then stepped forward each calling two teams. Konoha and Ame were called by a big man with a axe. They followed him to a hallway where they walked until they were spit out into an arena. There were dividing walls on either side and there area only used a eighth of the arena, which was filled with people. There area was fifty feet wide and two hundred feet long. There were rocks and trees all through the arena. Both teams were set on either side. "Here are the rules, anything is allowed but killing," he said. "If this rule is broken even by accident then you and your team will be disqualified. With that being said...” He paused for a moment. “Hajime!" he shouted jumping away. "Fire Style: Fire River," Shikamaru said. "Earth Style: Tentacles," Shino said. "Water Style: Wild Water Wave," one Ame ninja said. He put out the fire, but not before it hit and took one Ame nin out of the fight. Shino&apos;s tentacles took out the another, and Neji and Lee shot forward fighting the third Ame nin. Tenten moved to fight one that was using senbon. 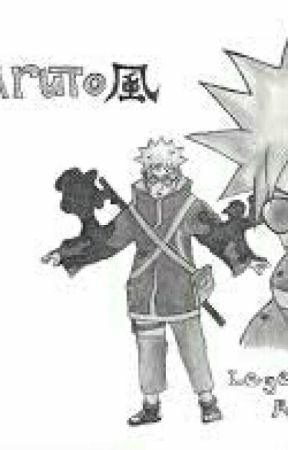 Naruto pulled out his blade clashing with one using a tanto. Shikamaru and Shino went for the last nin. "Fate has declared me the winner," Neji said. "You might as well give up," he then lunged at the nin, who used kunai and shurikin to keep him at a distance, this went on until Lee joined in. "Dynamic Entry!" he yelled kicking the nin in the back sending him towards Neji. "Eight Trigrams!" said Neji while disabling the nin. "Good job my youthful friend!" exclaimed Lee while doing his ‘good guy’ pose. "I didn&apos;t need your help." Neji said in an expressionless voice. Senbon after senbon was launched at Tenten. She unsheathed her katana successfully blocking all them. She then used her scrolls to launch weapons, but the Ame nin was too quick and placed a senbon in her shoulder causing it to be immobile. "Twin rising dragons!" she called out unfolding two scrolls that shot weapons at the attacking nin. "Earth Style: Terra Shield," The Ame nin called out creating an earth wall to protect her. After the attack Tenten collapsed. She felt her pulse slowing. The senbon that had been thrown at her had been coated in poison knocking her unconscious. "Dynamic Entry!" was the last thing she heard as she saw the Ame nin go flying. Shino&apos;s bugs swarmed and chased the Ame nin. "Water Style: Gun Shot!" the Ame nin called as another group neared. While the Ame nin was paying attention to Tenten, Shikamaru silently slipped out of sight. Before the Ame nin knew what happened his body was restrained by the shadows in the arena. "Shadow Possession success.” He said the top half of his body sticking up from the ground from the use of Earth Style: Hiding Like a Mole. 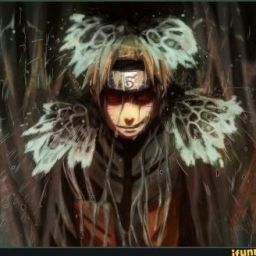 Shino&apos;s bugs then swarmed him draining him of any and all chakra. Naruto and the Ame nin were locked in a Ken jutsu battle. They were evenly matched, but Naruto&apos;s heavier blade have him an advantage. However their minds showed when Naruto was able to sneak one of his bugs onto the Ame nin poisoning and knocking him out. When the fight was all over the walls collapsed and the winning teams could be seen. Then the next four walls rose and trapped the Konoha and Iwa nin.